The Free Dictionary Language Forums » English » Knowledge and Culture » Razor? 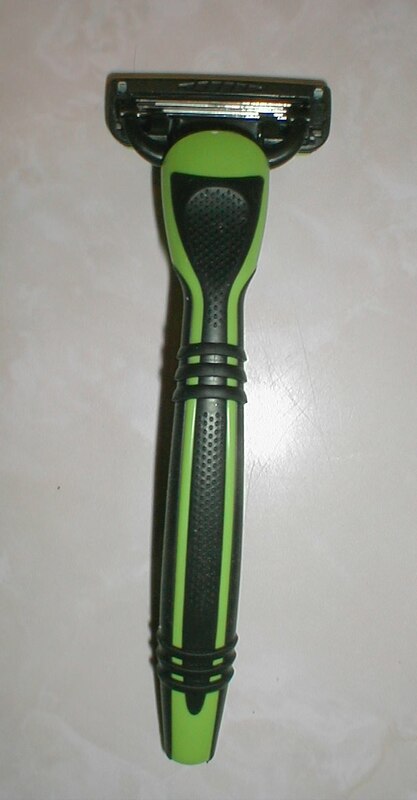 Does anyone know who made this razor? I need to get new cartridges for it and there are no brand markings on it anywhere. I tried a Google image search, but it didn't find it. I've also looked through pages of razor listings on Amazon. Nada. I suggest checking out Dollar Shave Club.. you'll save so much money. You will not need refills as often as they send them so you can just skip a month or whatever.. They honestly compare well if not the same to the major brands.. As for what you have... no clue buddy, sorry!!! They have blades, starter sets, shaving supplies and other accessories..if only to peruse the website, it's worth it! Thank you for the reply. Yes, the style does seem similar to some of Gillette's current disposable razors, e.g., https://tinyurl.com/y7uhl2qs. It's probably easiest to just buy something new.